This article describes how to transfer music and playlists from an old iPod, iPad or iPhone to a new one. The method works for all iPhone models including the latest iPhone XS Max. 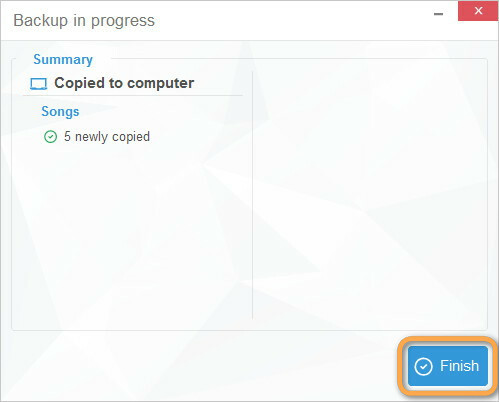 Open CopyTrans and make a Manual backup to a folder on your PC or to an external drive. Refer to the following FAQ article to learn how to do it: Manual backup – backup iPhone music to computer. Note: CopyTrans can also change the folder structure of your backup, in case you don’t like how it’s organized by default. When finished, close CopyTrans and disconnect your old device. Open CopyTrans Manager and connect your new iPhone (iPod or iPad) to import the backed up music. The following article will help you with this: How do I add music and videos to my iPod or iPhone. When finished adding the songs, don’t forget to hit the “Update” button at the top-left corner to sync music to iPhone. That’s it! 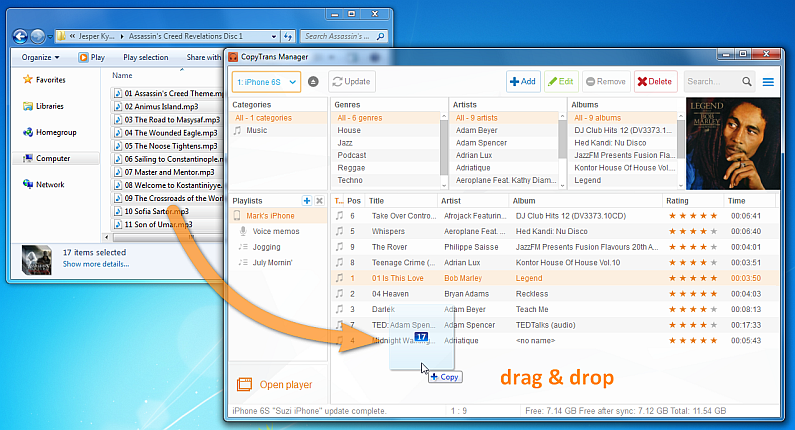 You’ve succesfully transfered music from iPhone to iPhone without the need of laggy iTunes. Open CopyTrans and start the transfer by performing a Smart Backup to iTunes. Watch the video below for a quick tutorial on Smart Backup in CopyTrans. Now, let’s sync iTunes music with iPhone (iPod or iPad). Before the actual sync, open iTunes and click on the device icon. Tap on Summary on the rightside pane and scroll down to the Options section. Check “Manually manage music and videos”. Note: iTunes will erase your iPhone/iPod data and put an exact copy of its library onto your device (playlists included). Next, select Music on the left pane, tick the “Sync music” box and select the items you want to sync. Hit the Apply button at the bottom of the window to initiate the sync. Voila, you have just transferred music from old iPhone to new iPhone via iTunes. Hope those tips helped! If you have questions or comments, just leave them down below.